Home / Media Coverage / We’ve been Loved, and Blogged! We’ve been Loved, and Blogged! It’s a match made in heaven! 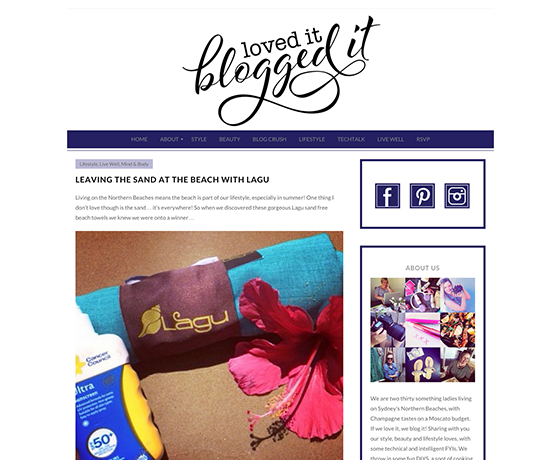 Northern beaches blogger Maraya Bell from Loved it, Blogged it loves her Lagu! It’s good to know that we’re all doing our part to save our beaches by leaving sand where they belong!